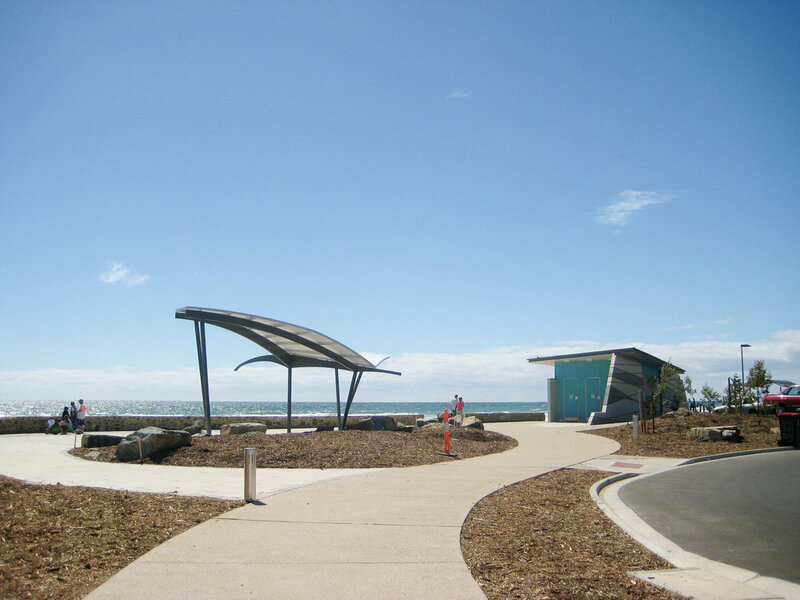 Flightpath were the architects in a multidisciplinary team engaged by the City of Onkaparinga to upgrade and re-energise the Moana Foreshore. The public amenities building and Ibis shelter comprised the key architectural components at the focal point of the development. The shelter was designed in collaboration with artists from the Kaurna community and takes its form from the Tjilbruke Dreaming, the predominant dreaming of the Southern Kaurna country. It is about Tjilbruke, an ancestral being who created the seven freshwater springs along the coast of the Fleurieu Peninsula. At the end of the creation, Tjilbruke no longer wished to live as a man and took the form of the Glossy Ibis (Tjilbruke). 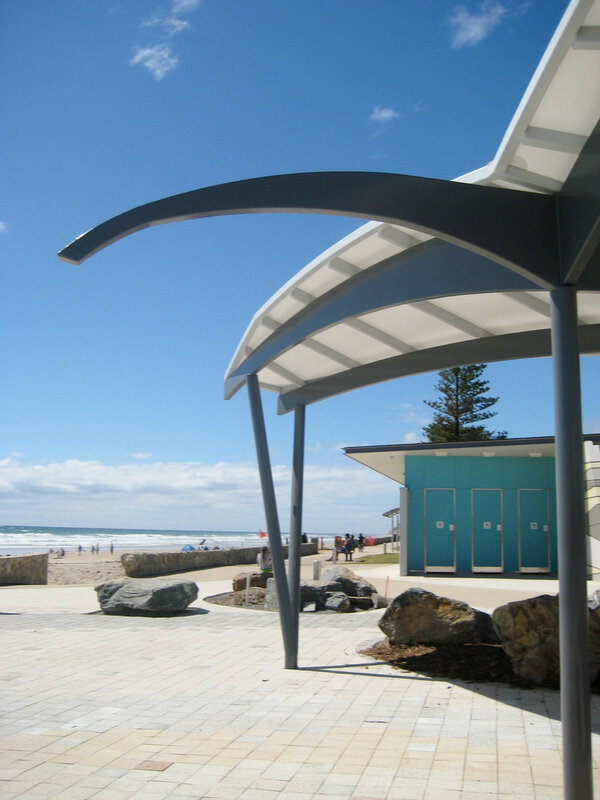 The amenities building was contextually designed on an axis with the adjacent surf live saving building defined by robust angular concrete precast walls forming a strong ‘sea wall’ to the ocean. The criss-crossed rebate feature wall reflects the sedimentary pattern evident on the cliff formations extending down the southern coastline. Both of these innovative and unique structures have stimulated significant positive community feedback.